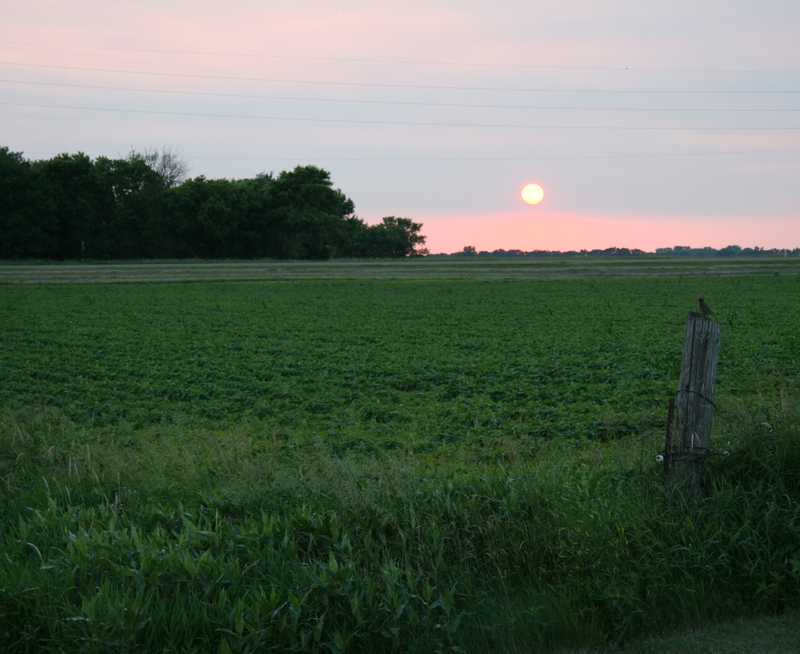 WE STOOD ALONG THE EDGE of the gravel road Saturday evening, my 13-year-old nephew and I, mesmerized by the glorious golden sun pinking the sky above and below a layer of blue grey. I raised my camera. He lifted his phone. 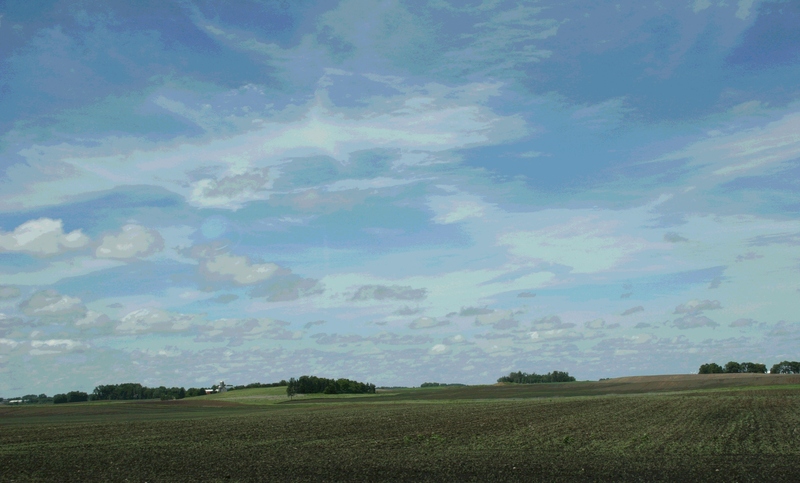 We snapped several photos, compared, wished for better zooms to photograph the prairie sky north of Lamberton in southwestern Minnesota. “It’s what I miss most about this place, the sunrise and the sunset,” I said. “And the stars,” Stephen added. He was right. The stars, too. 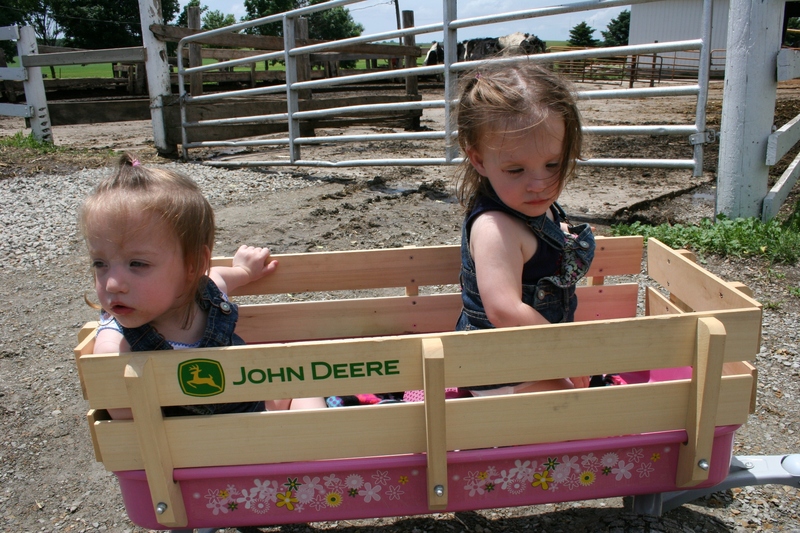 Checking out the crops near Moland Lutheran Church in Steele County, Minnesota. 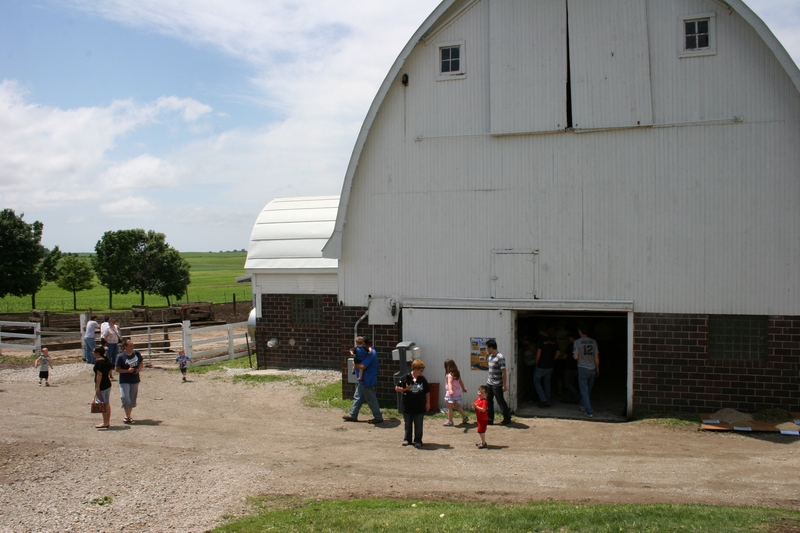 ONCE UPON A TIME, I thought Sunday afternoon drives were reserved for farmers checking out the crops or for old people with nothing more important to do. 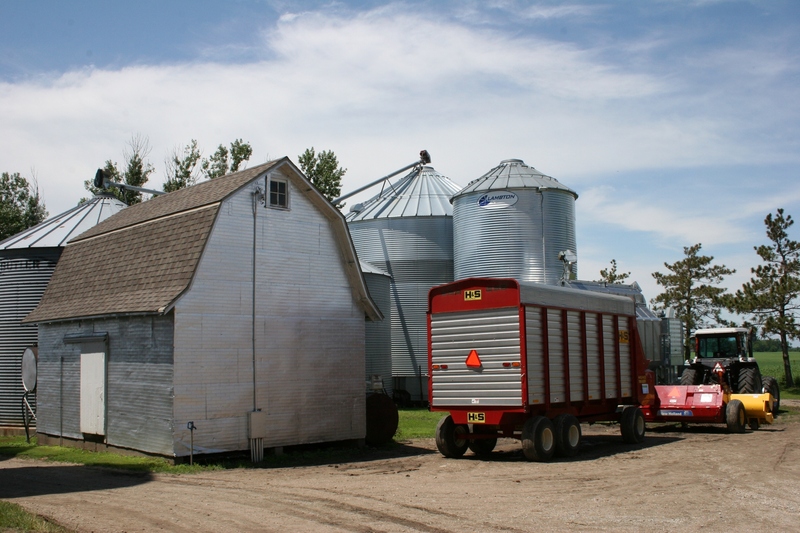 In Merton Township, Steele County, Minnesota. No longer do I think that. I now welcome these day trips into the country for the solace, the beauty, the discovery, the photo ops, the joy of whiling away an afternoon with no specific destination. 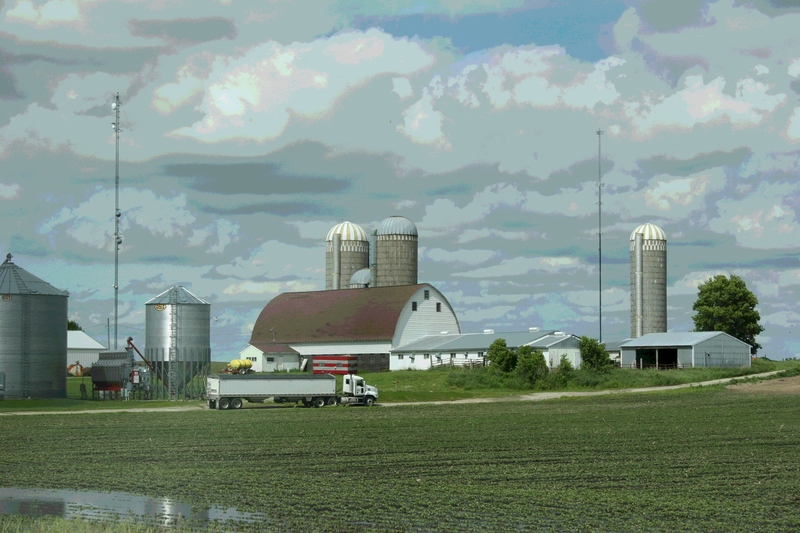 Along Rice County Road 21 south of Faribault. 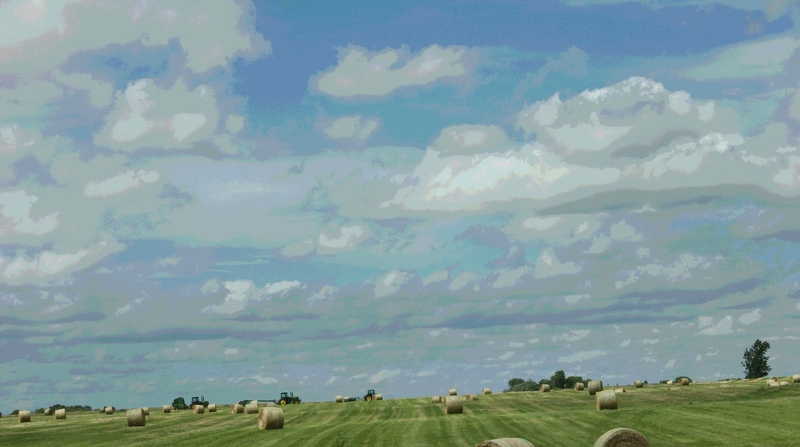 I love wide skies and open fields. 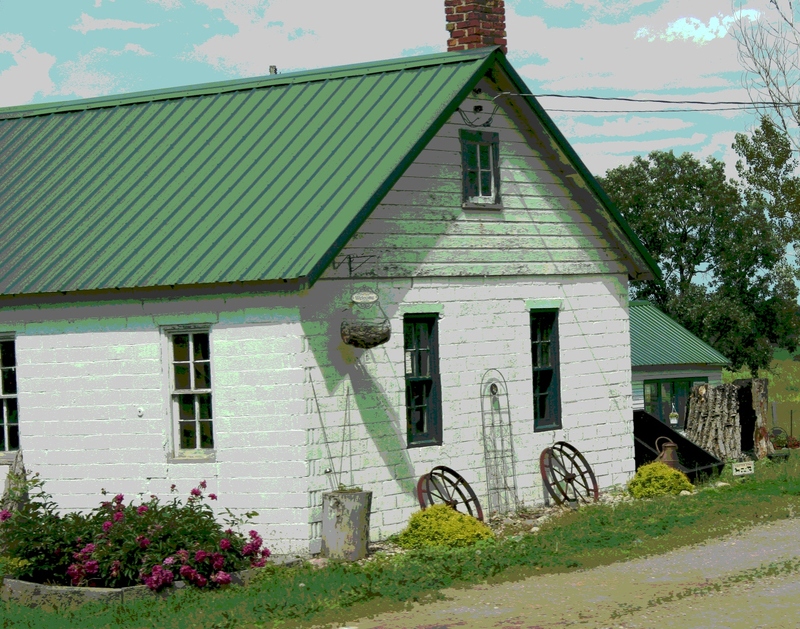 I love old barns and gravel roads and cows grazing and tidy rows of corn. I love country. Making hay, along old U.S. Highway 14 west of Owatonna. In this crazy fast-paced world of scheduled activities and rare free time, such impromptu rural jaunts are to be embraced. Near Clinton Falls in Steele County, Minnesota. If you have not discovered the Sunday afternoon drive, you are missing out on one of life’s simplest and most soul satisfying pleasures. 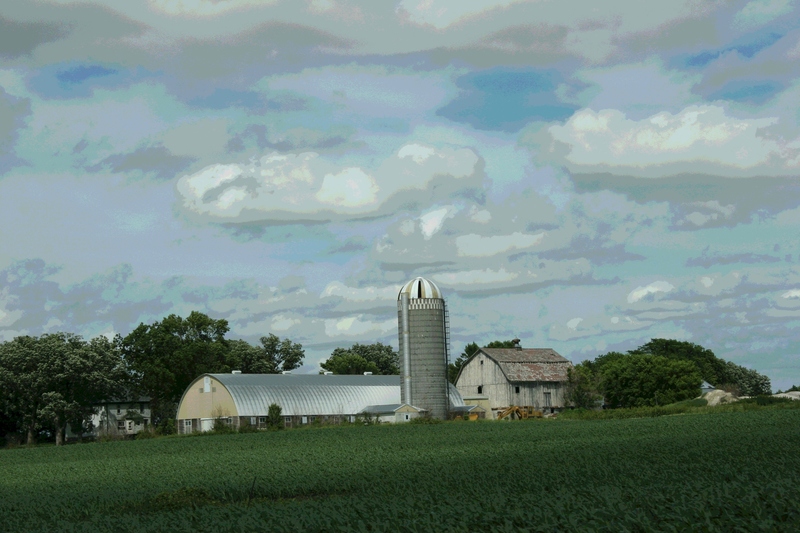 Northwest of Owatonna along Steele County Road 17. 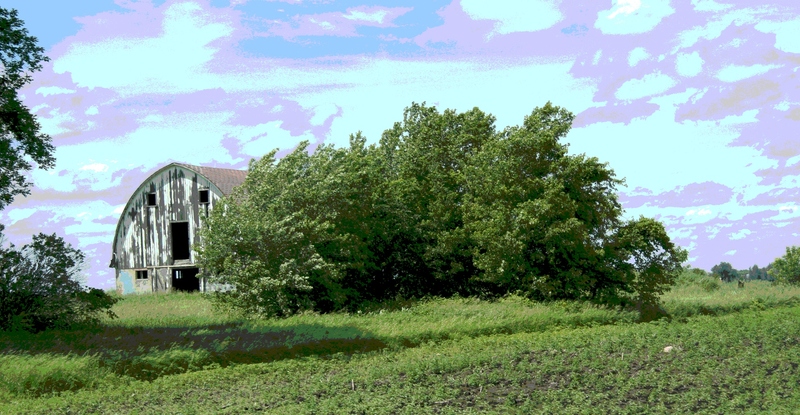 On a farm site west of Owatonna. 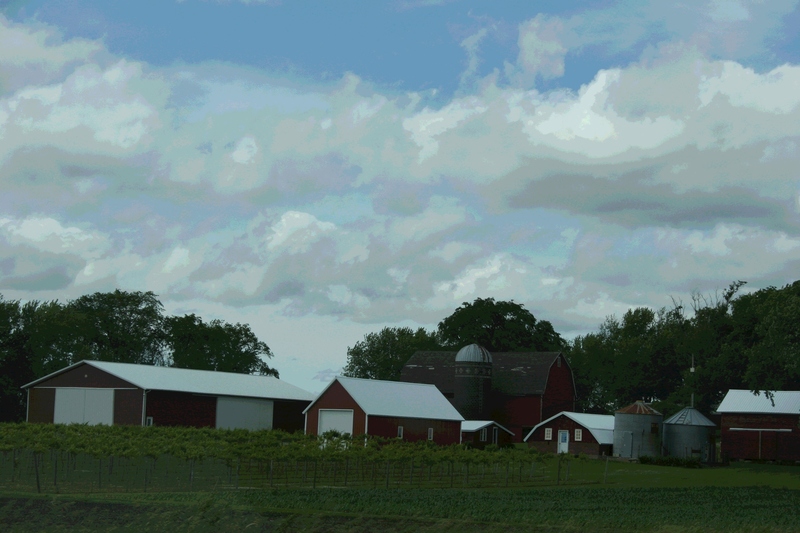 A vineyard along Steele County Road 17. 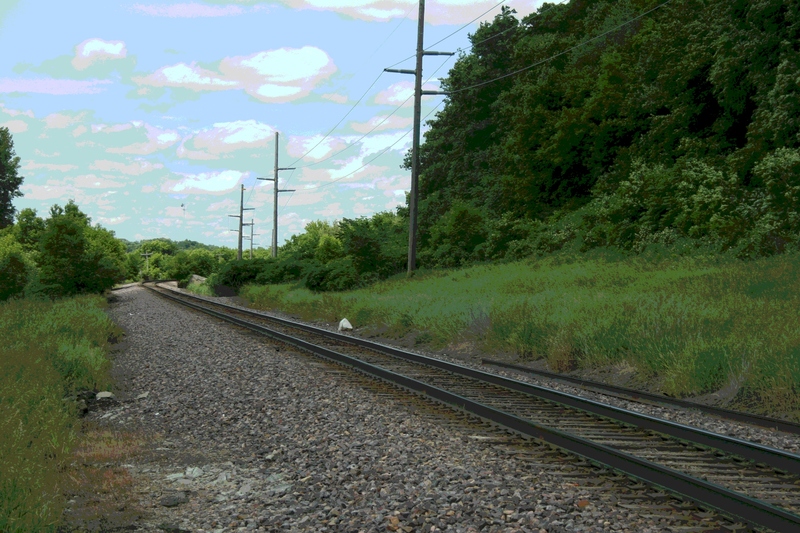 FYI: The edited photos featured here are from a recent Sunday afternoon drive south and east of Faribault and then west and north of Owatonna looping back to Faribault. 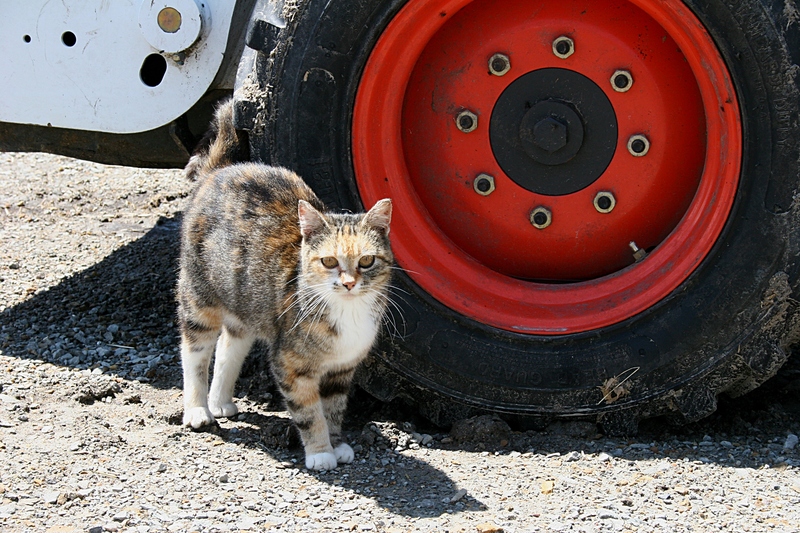 All images were shot from the passenger seat of our van at highway speeds, or slightly under. 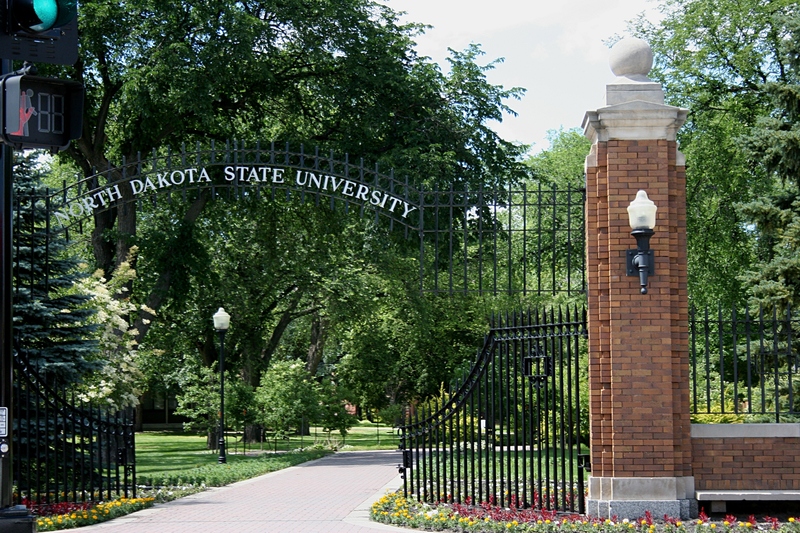 File photo from June 2012 shows the main entrance to North Dakota State University in Fargo. FOR THE MOST PART, I ignore the mass emails sent by whomever, including North Dakota State University, where my son attended his first year of college. He’s transferring to Tufts University in Medford, MA., outside of Boston, this fall. Researchers Coax Clays to Make Human Bone: Weak bones, broken bones, damaged bones, arthritic bones. 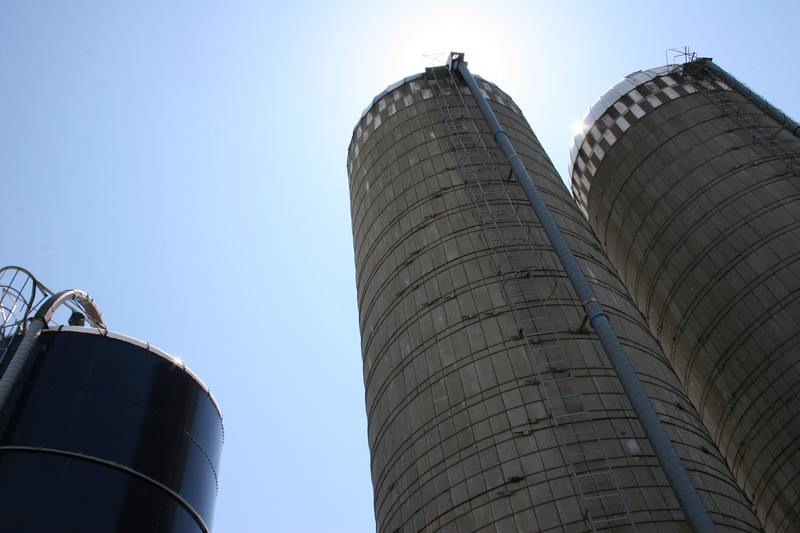 Researchers at North Dakota State University, Fargo, are making strides in tissue engineering, designing scaffolds that may lead to ways to regenerate bone. Up until some seven years ago, I’d never considered arthritic bone, not even thought about arthritis or its debilitating impact on the body and spirit and on mobility. But then, at age 48 ½, I developed back and hip pain which, initially diagnosed as a pinched sciatic nerve, was eventually correctly diagnosed as arthritis in my right hip. For 2 ½ years I lived with the constant pain until near immobility and an inability to tolerate the pain led me to undergo total right hip replacement five years ago. Given my age, 51, I wanted to put off the surgery as long as possible. I likely will outlive my hip, which has a life expectancy of 15 – 20 years. That means hip surgery. Again. And that scares the heck out of me because I will be much older, the recovery more challenging. When I read news about research like that being conducted at NDSU, I am encouraged—hopeful for a better alternative to the current implant system. 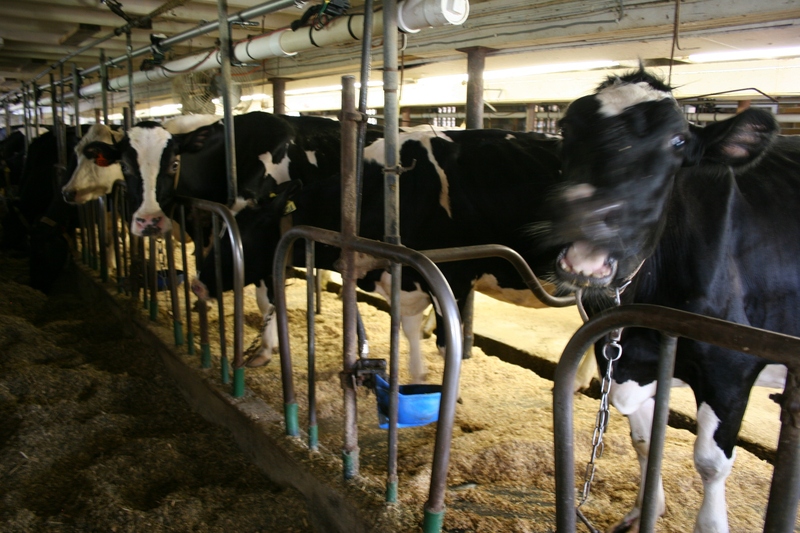 There have been too many recalls on hip implants. Thus far, mine has not been among them. But pity those people who need to have their defective implants removed and replaced. To the NDSU researchers who created the system of “3-D mesh scaffold composed of degradable materials compatible to human tissue” in which “cells generate bone and the scaffold deteriorates,” thank you for working on this project. Do you think you could perfect the process and have it on the market in 10 years? 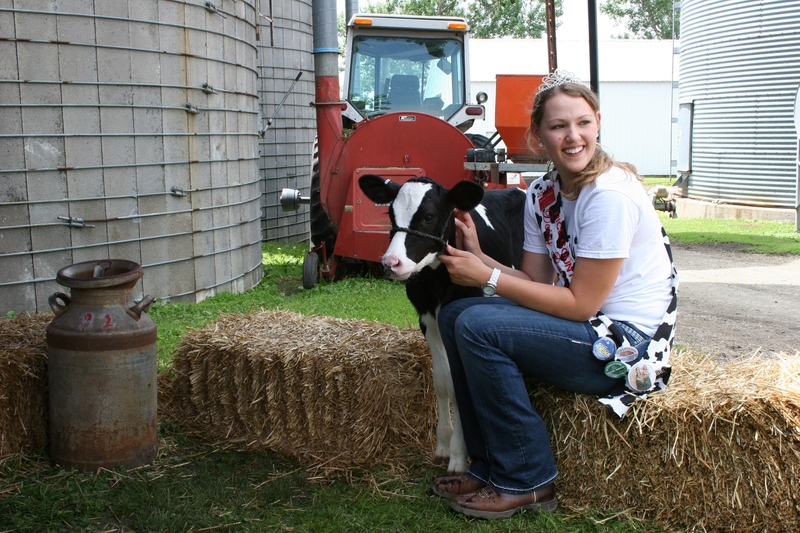 FYI: Learn more about this NDSU research project by clicking here. YOU HAVE NOT PLUMMETED down a rabbit hole, dear readers. 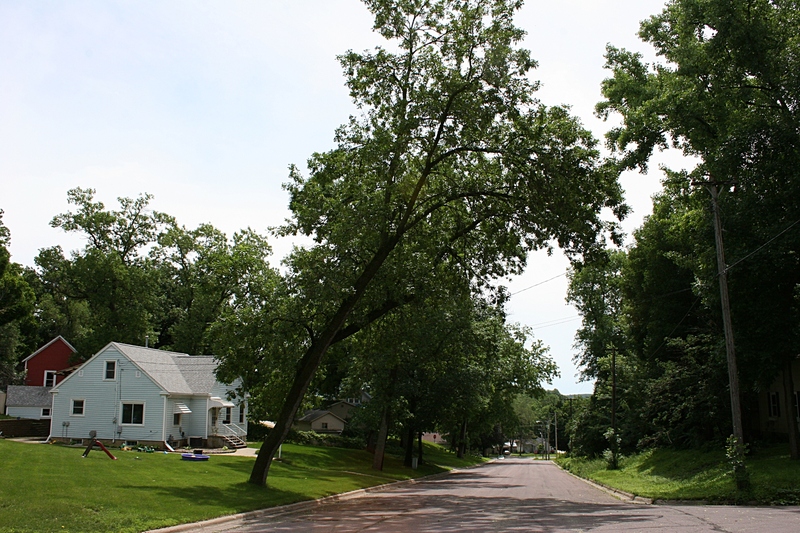 But you are viewing an ash tree that, if growing straight and tall, would make your world appear off kilter. 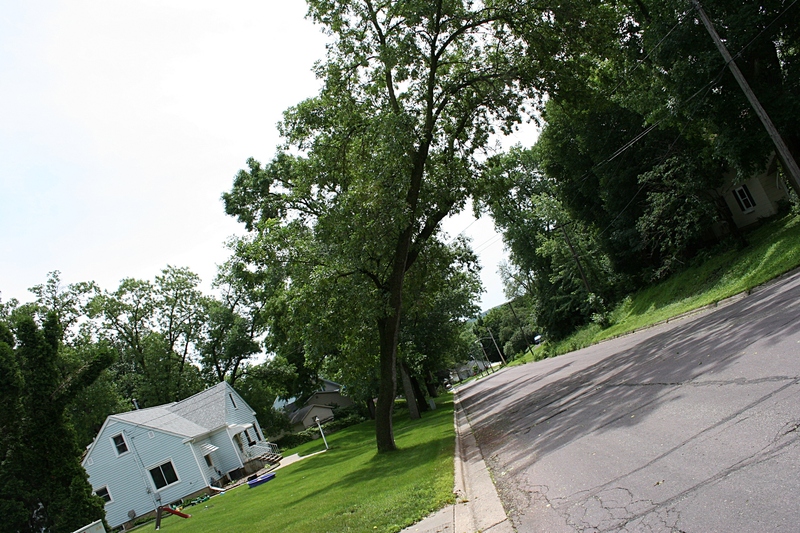 This tree, a block from my house on Tower Place in Faribault, worries me. The laws of gravity and the forces of nature tell me this ash is destined to topple right onto the street. The ash looms over Tower Place. A) A motorist is passing under the ash. B) A child is walking home from school. D) A walker is out for a walk. Arborist types out there, is there genuine reason for concern, especially given the recent heavy rainfall which has left the soil saturated? 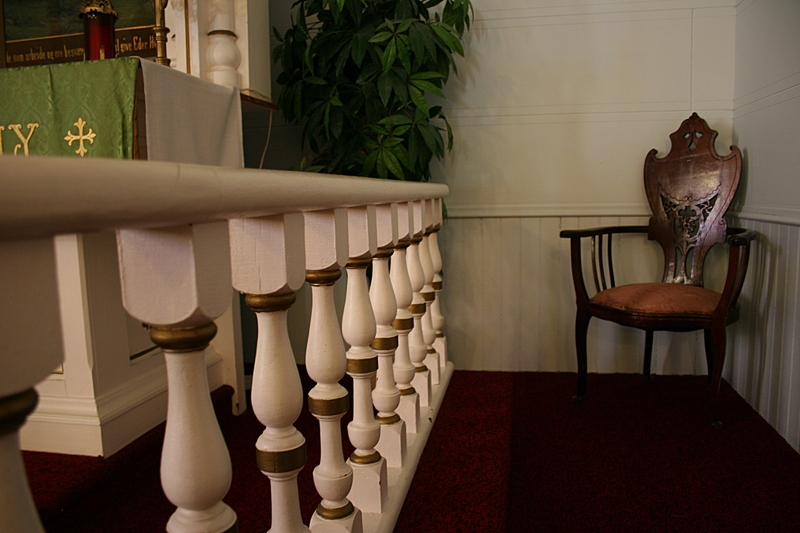 Fine craftsmanship defines the sanctuary. 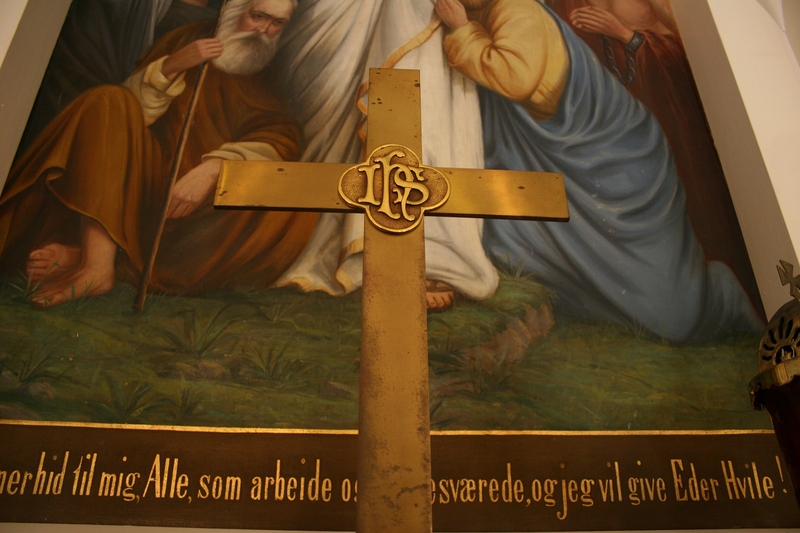 STEP INSIDE AN AGED COUNTRY CHURCH anywhere and you will be drawn in by the history, the craftsmanship, the holiness of a house dedicated to God and the fellowship of the faithful. 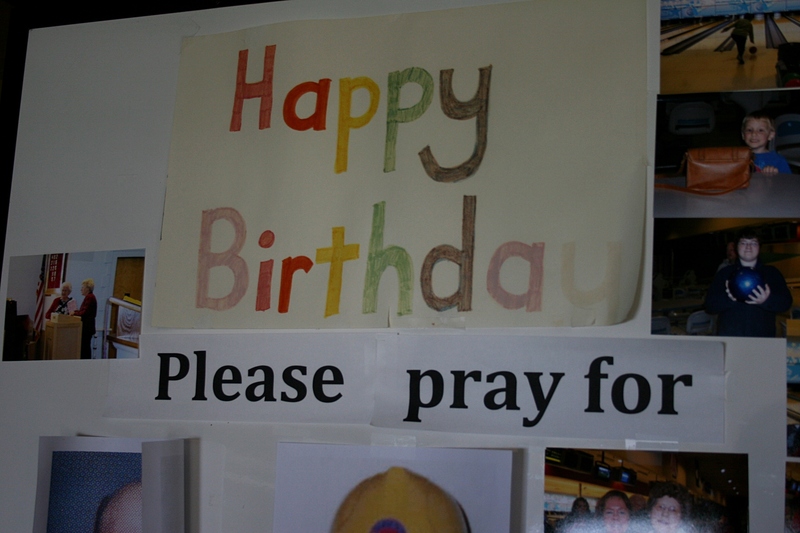 A poster board with photos and well wishes stands in the Moland Lutheran Church entry. You need only pause and look, really look, to see the care, the love, the devotion, which fill such a sacred place. 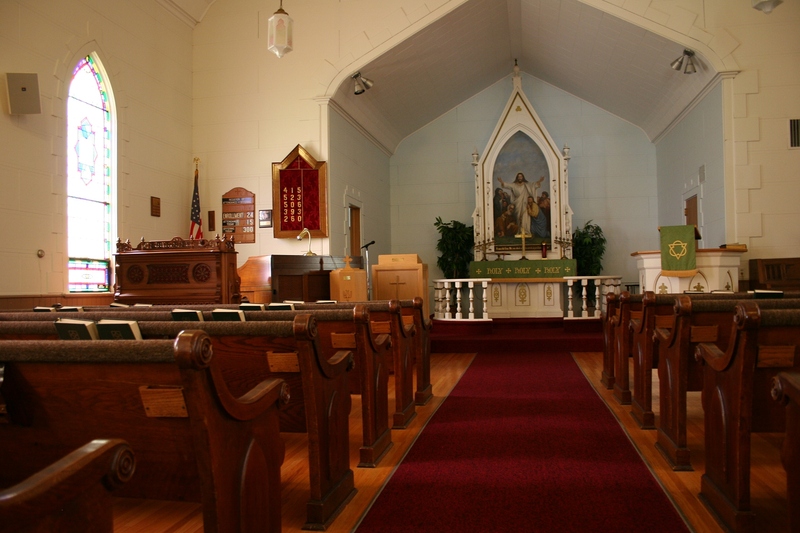 Moland features architecture common in country churches. 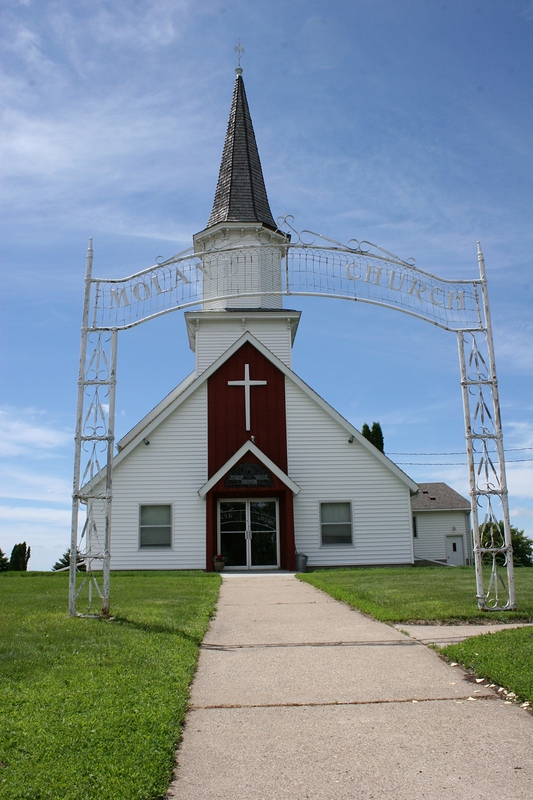 Join me on a photographic tour of Moland Lutheran Church, 7618 Northeast 84th Avenue, rural Kenyon, Minnesota. The church, built by Norwegians in 1884, still holds Sunday morning worship services, currently led by the Rev. Nancy Edwardson. Worship service is at 9 a.m. on Sunday. 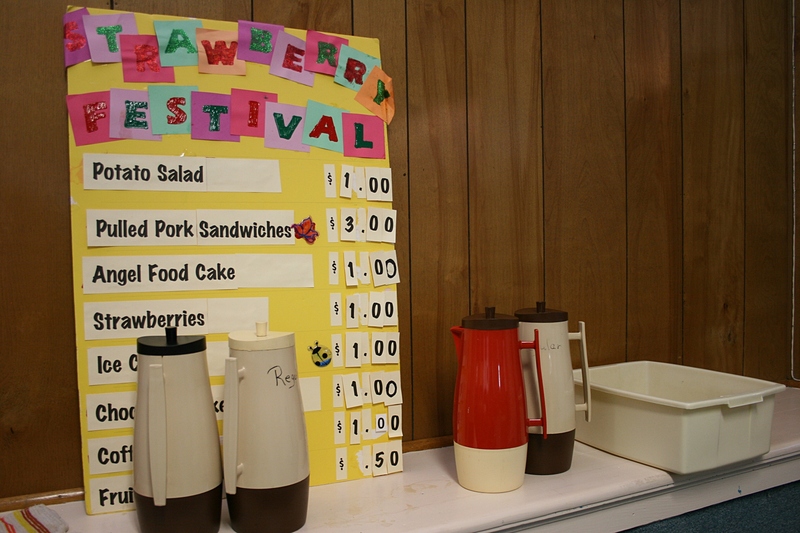 These photos were taken during the congregation’s June 23 strawberry festival. 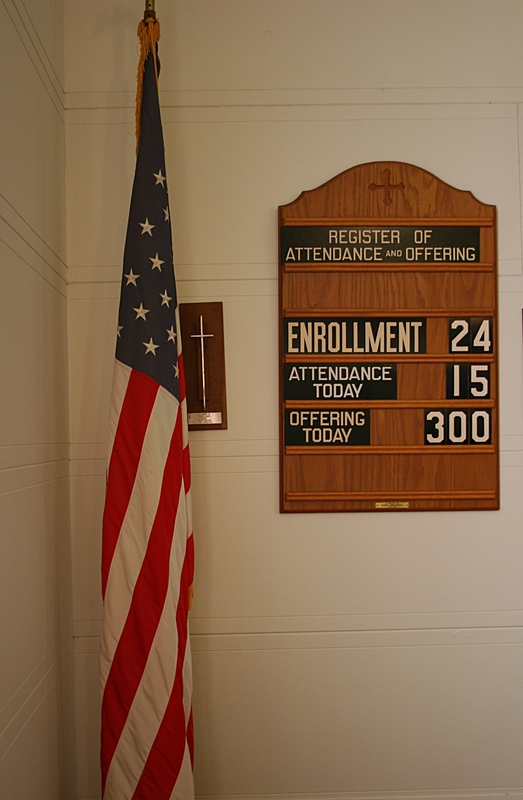 From 25-30 worshipers fill the pews each week. 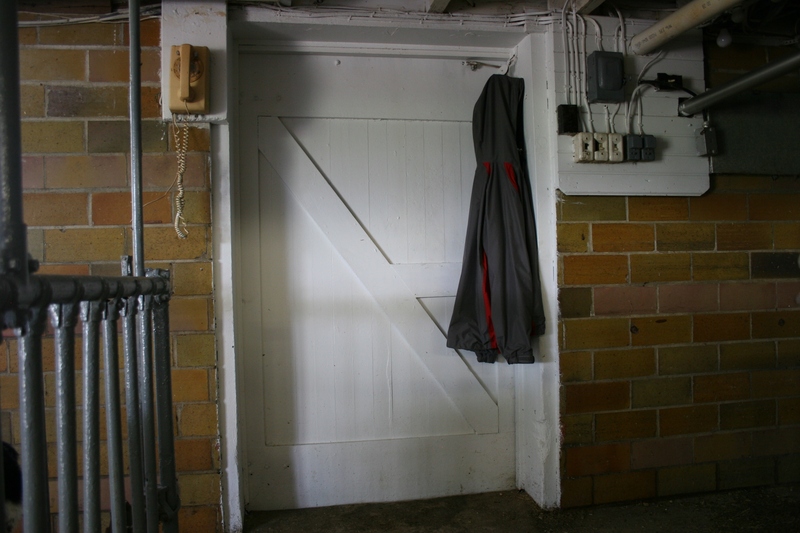 And if that number seems too few to keep these doors open, do not underestimate the strength of a congregation rooted deep in this place, connected to this church building, this spot of land in rural Minnesota. A verse from Matthew graces the altar. 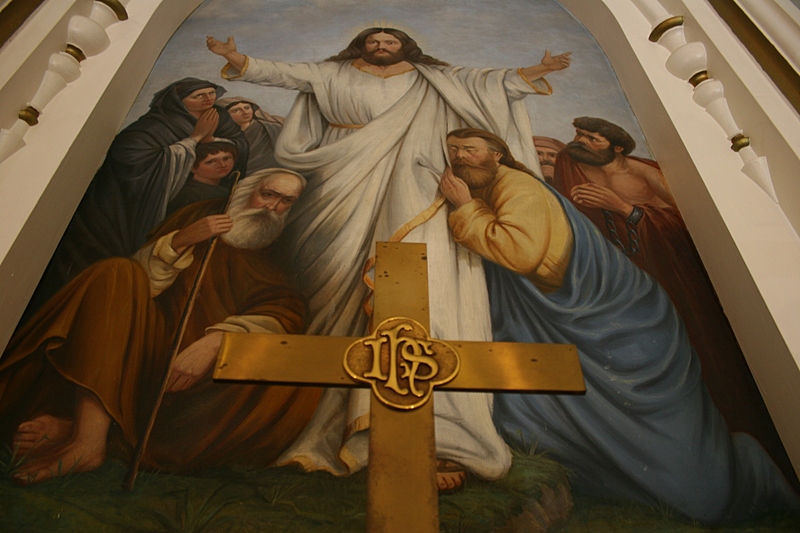 A full view of the altar painting done by A. Pederson and based on Matthew 28 – 30. 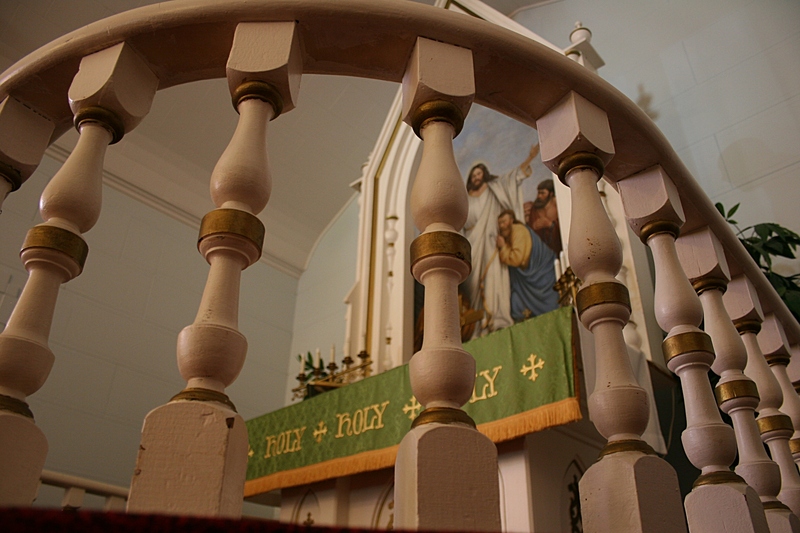 One can only imagine how many faithful have knelt at this altar railing. Or how many pastors have occupied this chair. 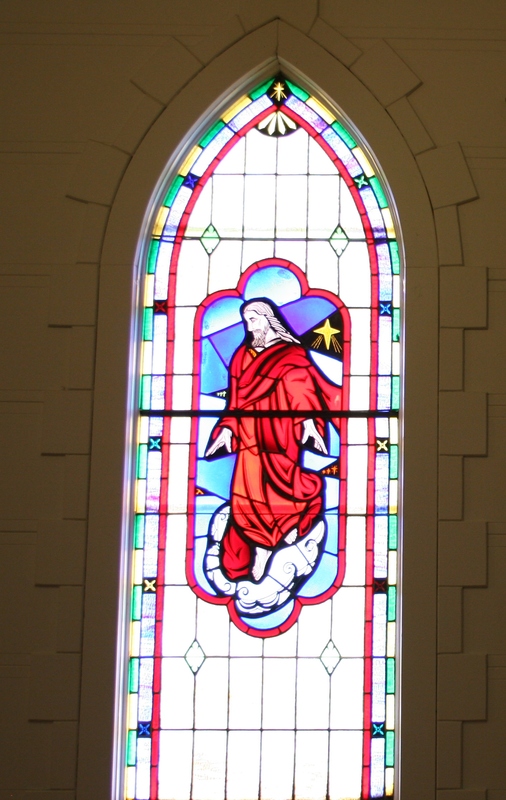 Stunning stained glass windows grace the sanctuary. 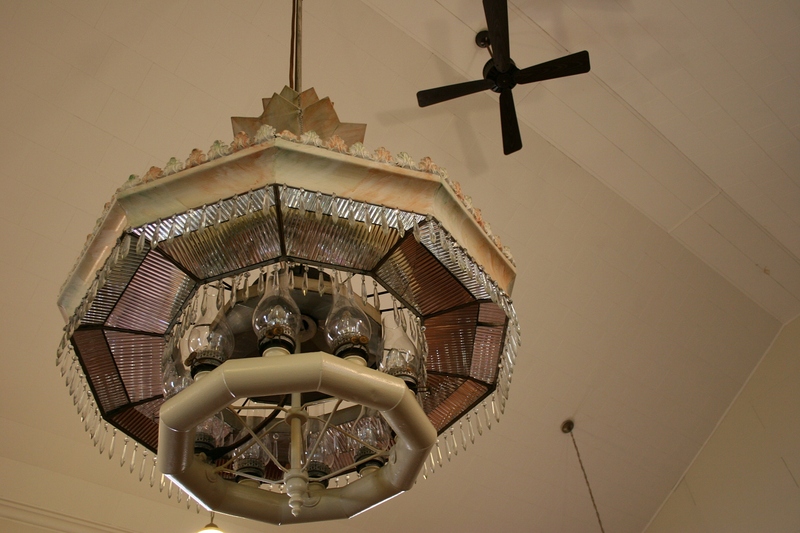 Suspended from the ceiling is this incredible historic light fixture. Stats, posted in a corner behind the organ at the front of the church. And more stats posted on paper just outside the sanctuary. And, on the edge of the church property, this sense of community. 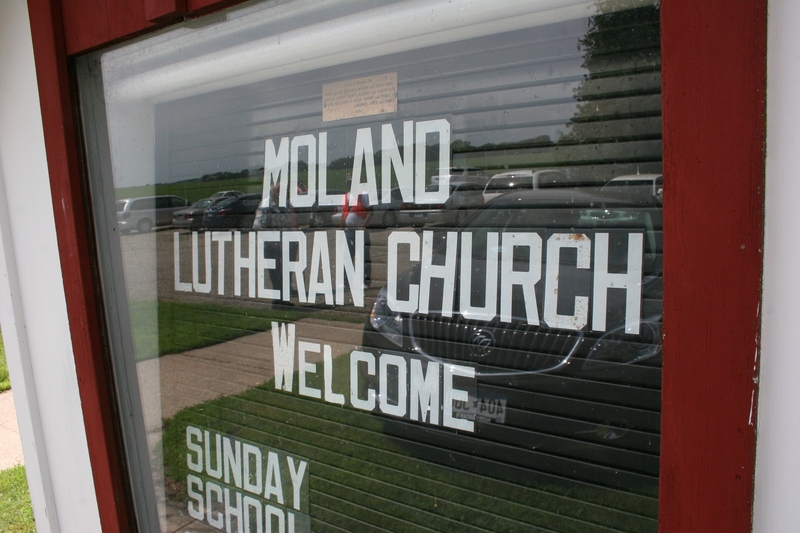 TO VIEW A PREVIOUS post about Moland Lutheran, click here. And then click here for another post. 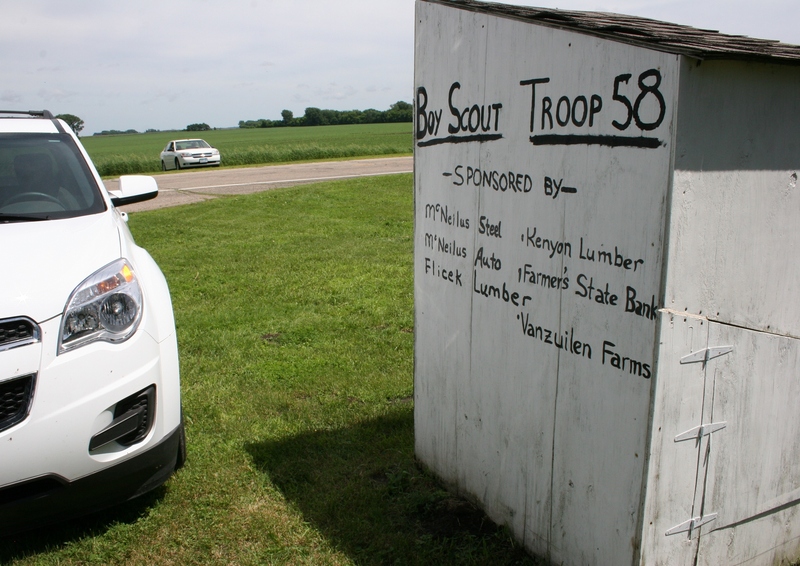 To view my post about the Moland Lutheran Strawberry Festival, click here. 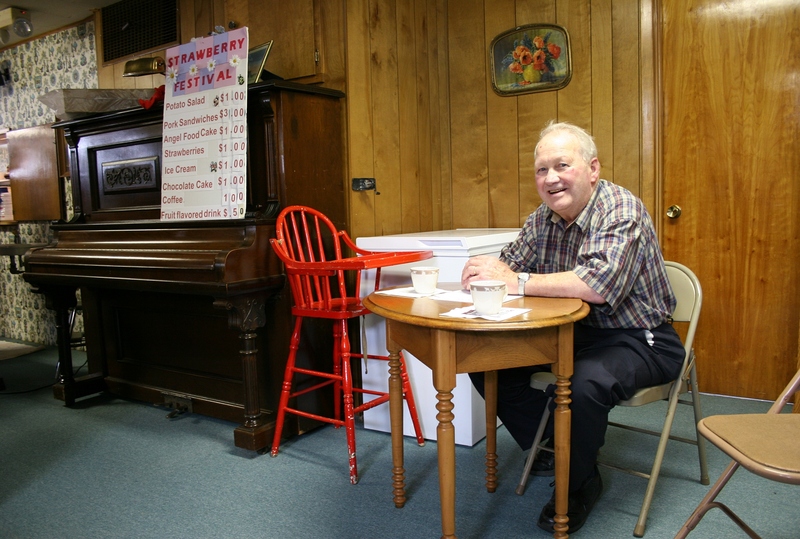 Diners flocked to Moland Lutheran Church on Sunday for the congregation’s annual strawberry festival in the church basement. 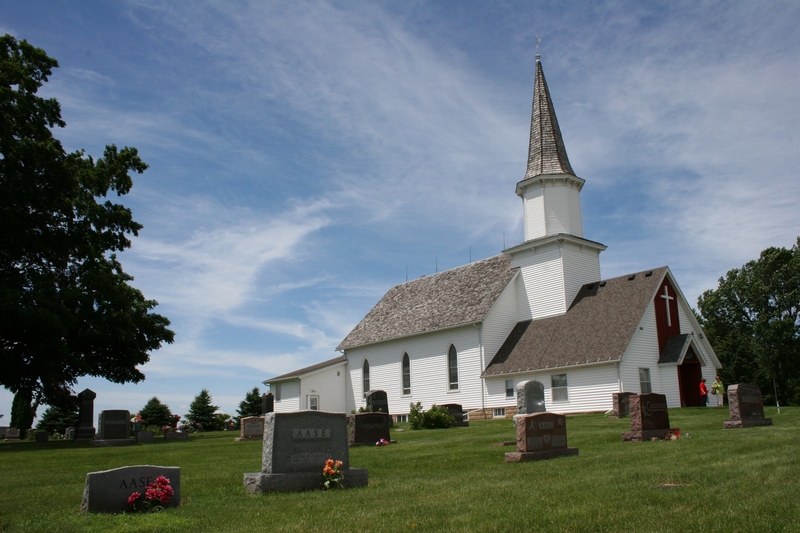 Moland Lutheran Church southwest of Kenyon. 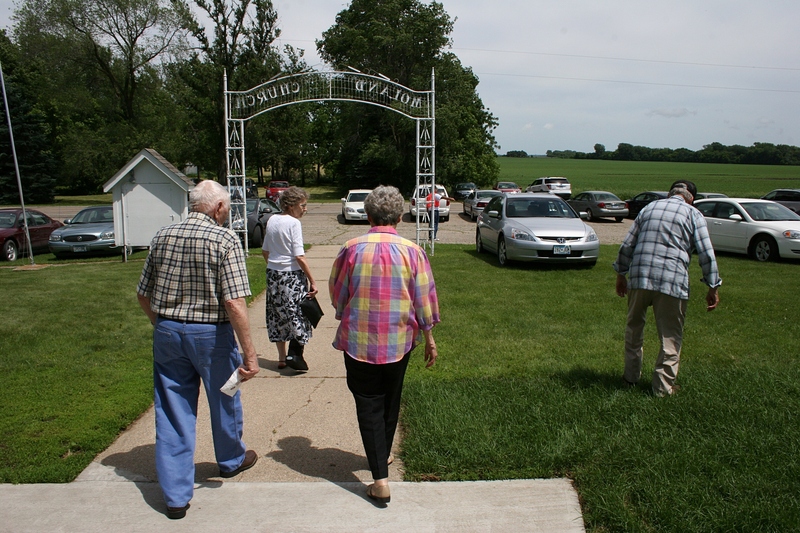 Like 90-year-old Georgia Vincent, nee Aase, who was born a mile south of Moland Lutheran Church, was baptized in this rural Kenyon parish and today drives 25 miles from Steele Center every Sunday morning for worship services. She’ll tell you that her great grandparents came from Norway and that her father wanted a boy, whom he would name George. He didn’t get his boy. Georgia eventually moved away to the Twin Cities and married. 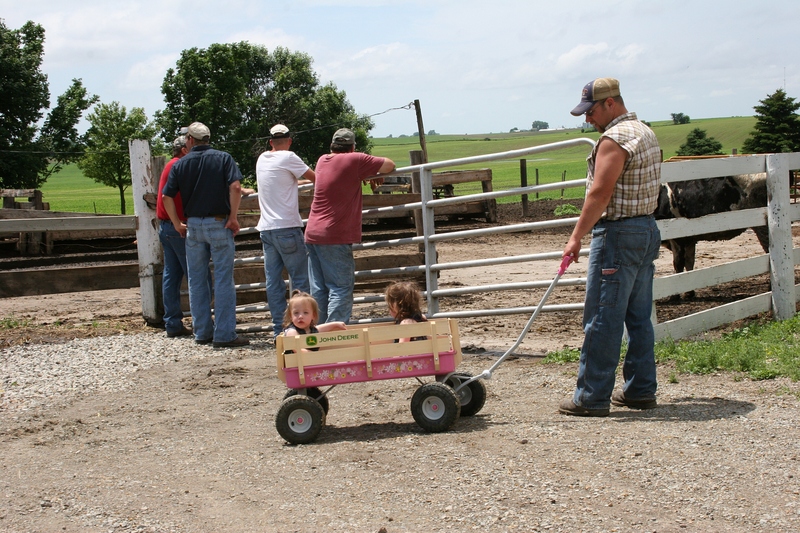 Her husband died on her 48th birthday, so, after 35 years she returned to the area, settling in Steele Center to raise her young daughter. Georgia Vincent wipes down trays. 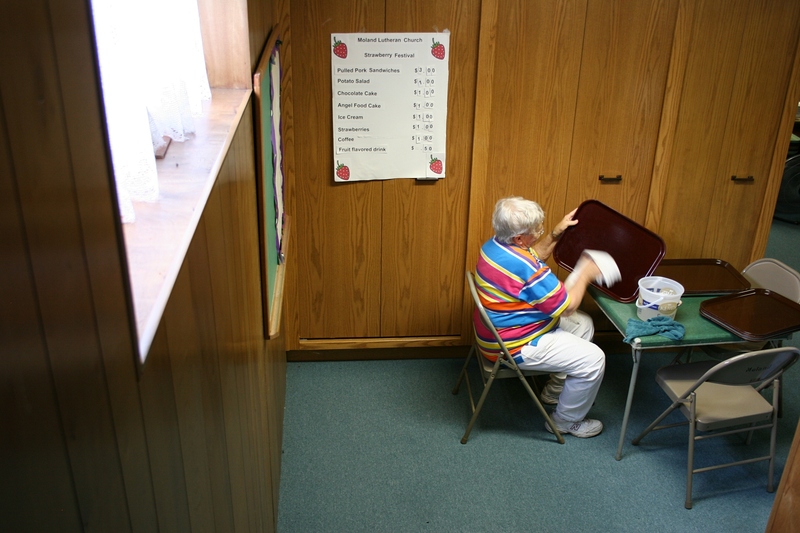 On this Sunday afternoon, Georgia was stationed in a corner of the church basement, washing trays during Moland’s annual strawberry festival. 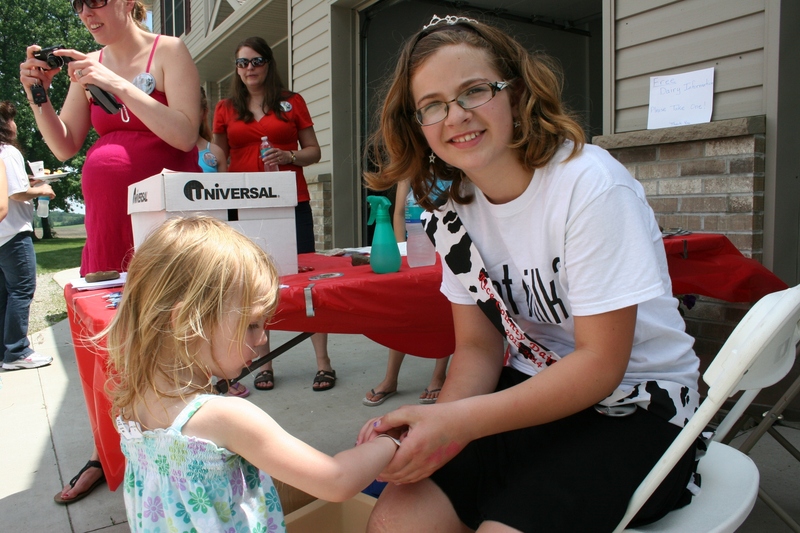 She did so with a smile, happy to contribute to an event where she once served food to diners. 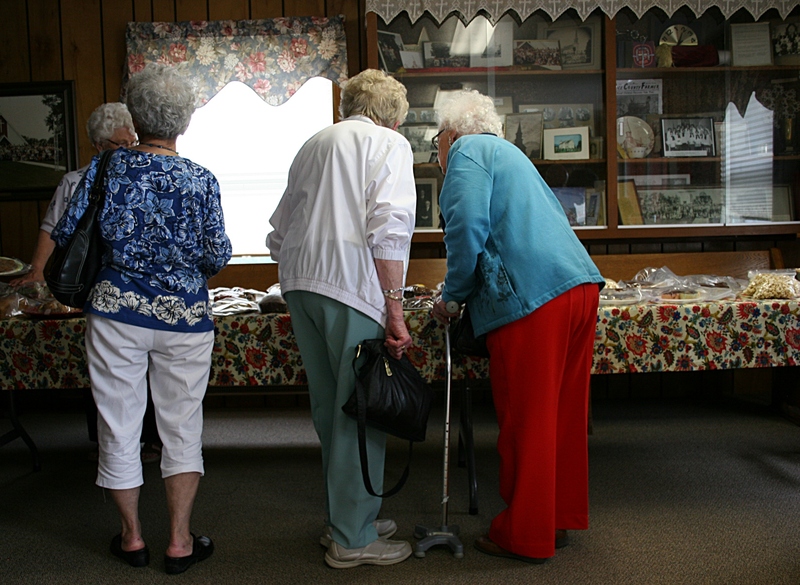 At age 90, she leaves that task to the younger folks. Next year Georgia claims she will retire from helping at the festival. 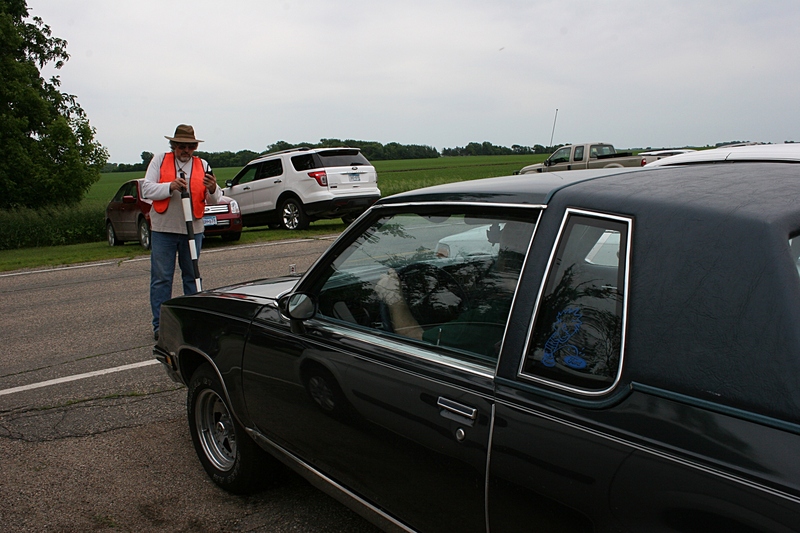 Volunteers guide motorists into parking spaces outside the country church. 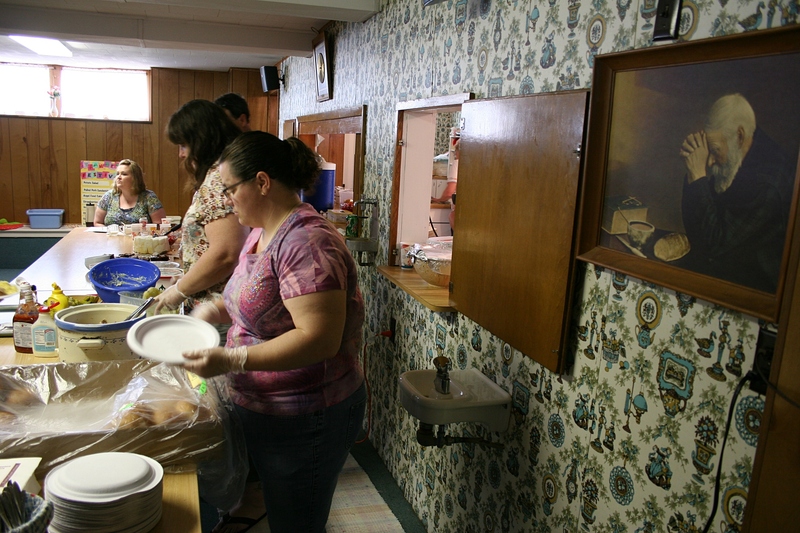 First stop: the bake sale inside the church entry. My husband purchased caramel rolls. 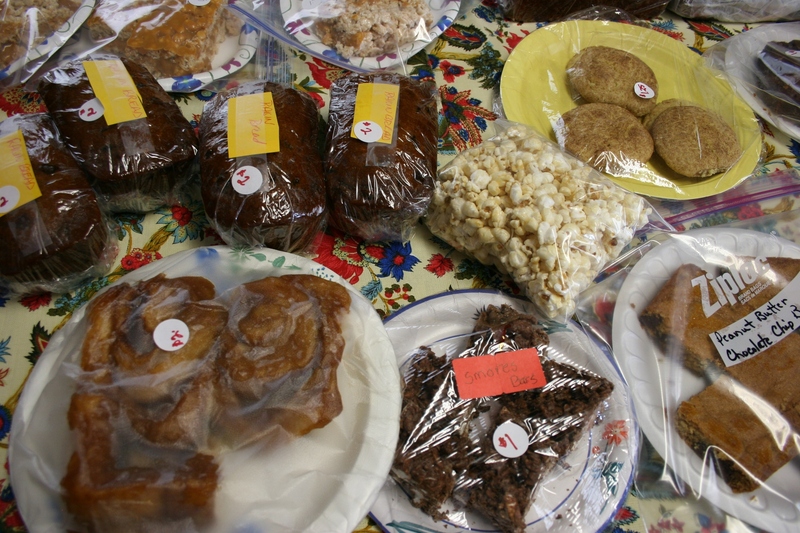 Shopping at the bake sale. Routing past retired farmer and head counter George Derscheid, stationed near Georgia in the church basement. George’s tally sheet. 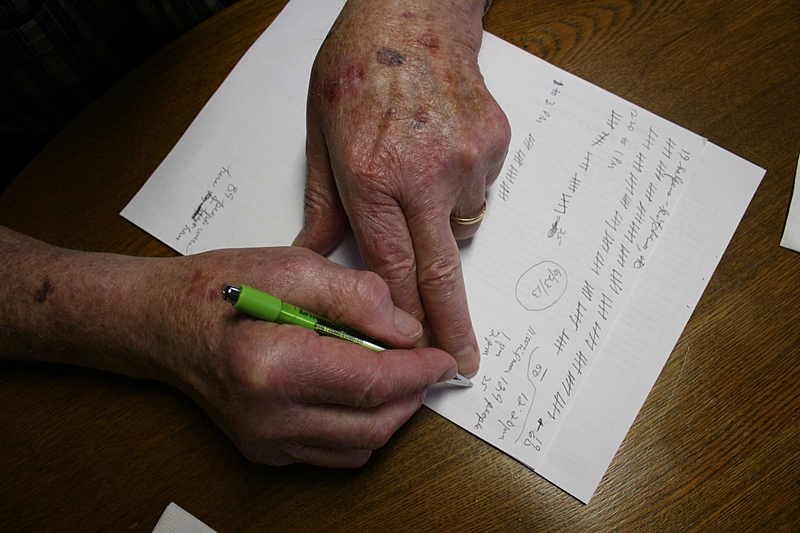 He wondered why I wanted to photograph his hands. Because, I said, I like hands and the stories they tell. And then George pointed out a spot of skin cancer on his hand, said he’s dealt with bone cancer and now skin cancer. He’s the most optimistic and friendly person, just like Georgia. 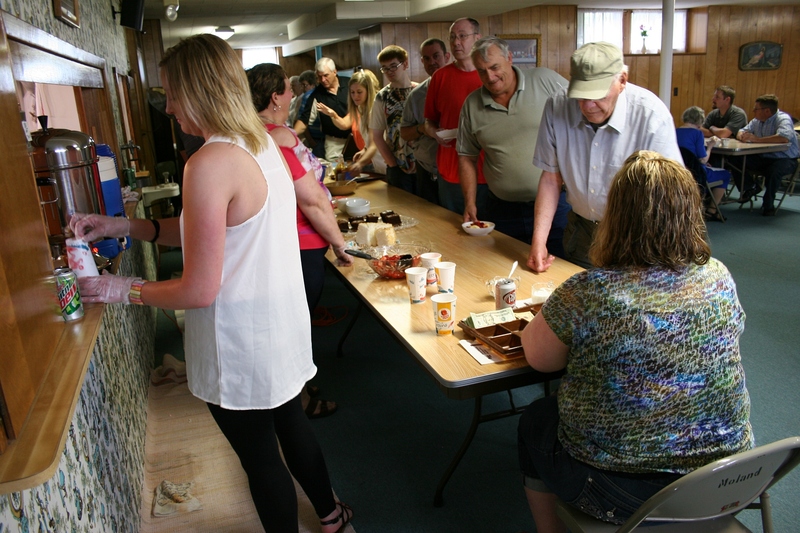 Volunteers dish up pulled pork sandwiches from Nerstrand Meats, homemade potato salad, ice cream, angel food cake, strawberries and chocolate cake, whatever you choose. Lots of coffee to go around. Diners file through the food serving line. 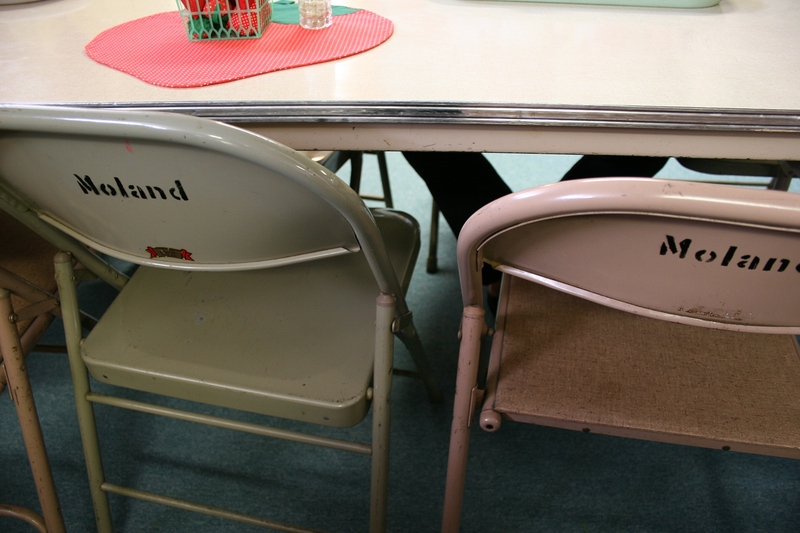 The backs of the folding chairs are labeled with the church name and the same strawberry decorations are pulled out every year. 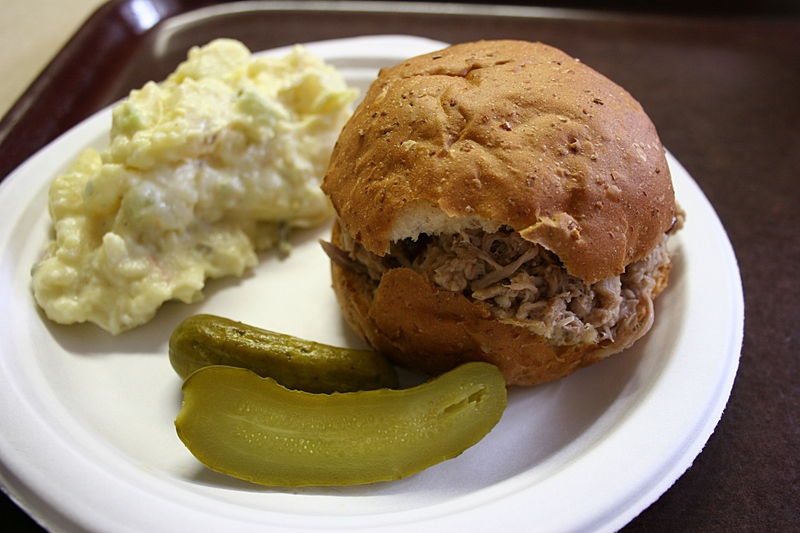 First I ate my pork sandwich, potato salad and pickles. 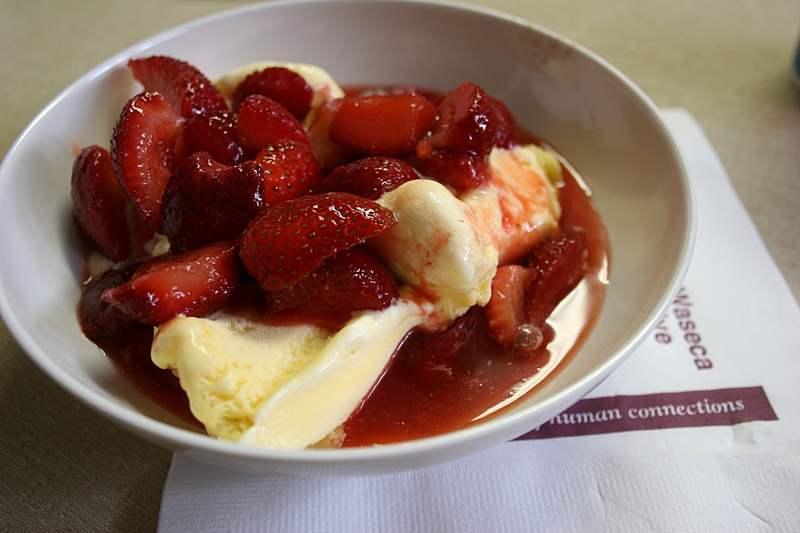 Then I returned for a generous bowl of ice cream heaped with fresh strawberries. I couldn’t eat all of it, so my husband finished off the delicious dessert. 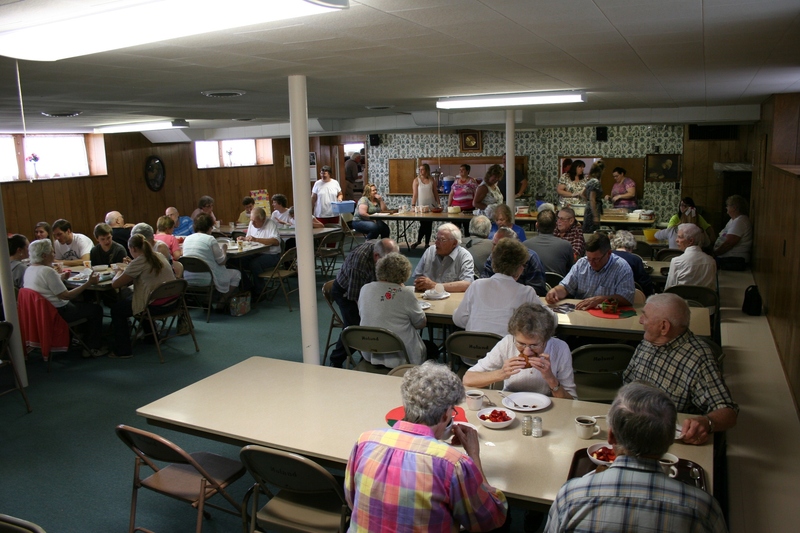 Diners exit Moland Lutheran Church. 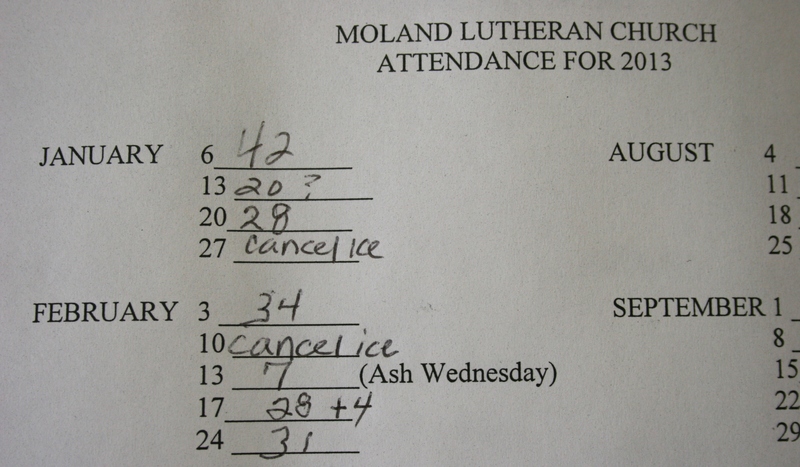 PLEASE CHECK back for additional photos from Moland Lutheran.